Kfirim is Fighting off the “Zombie Apocalypse”! We’re back with more exciting updates from Kfirim! This week has been rather dramatic since it was filled with tense build up to…Mac…Macca…MACCABIAH!! That’s right, Maccabbiah broke out with a flurry of action when a white limousine pulled into the Beit Am to take Debbie to Camp Tel Noar to be their new director. In her absence Gurim counselor Mitch stepped up to lead the camp but it ended up being all for nought as Maccabiah broke out and Debbie and the roshei aydah stormed b ack into the Beit Am throwing papers announcing the team splits. Working backwards, we’ve had a great week of activities. 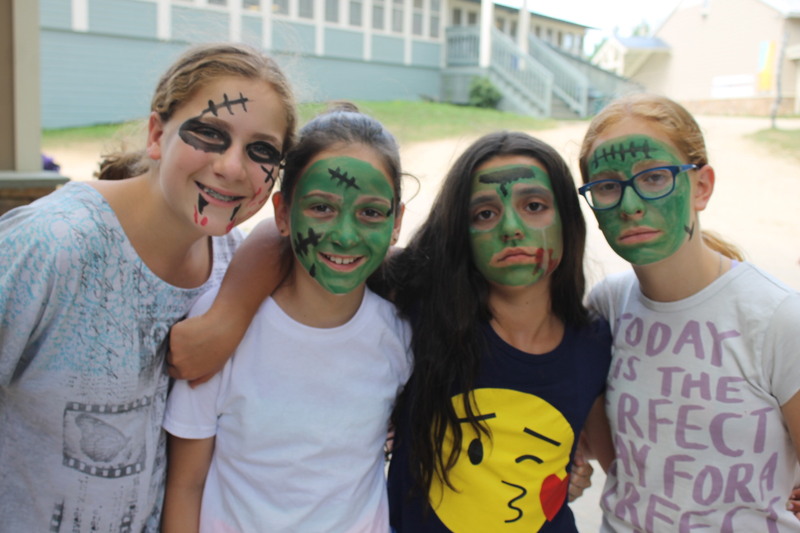 Monday was Yom Zombie Apocalypse which involved some amazing face paint, a few thematically appropriate skits, and a huge game of zombies-versus-humans tag. In the evening we participated in a rather complicated scavenger hunt that had us running all over camp to save the mythical “White Thing”. In the end it was up to us to retrieve the special antidote locked in a barn on the outskirts of camp. In the end we saved the day by finding the special medicine and saving an old camp legend from a pretty nasty sickness. Now that Maccabbia is in full swing we are all getting into our various team cheers and competitions. But don’t worry there’s still plenty of time to spend with our צריפים (bunks)! Don’t forget to check back for more updates on Monday!